September has historically been a time when Hurricanes hit Virginia and a good time to review the following Virginia Hurricane Preparation and Safety Tips. The following information is intended to help to reduce the severity of property damage and bodily injury during and after a major storm. Please share.The National Hurricane Center has some of the best information on how to prepare and recover after a major storm. They provide important storm safety information during the Hurricane Preparedness Week usually at the end of May each year. The following information is a re-post of their Hurricane Preparedness “Be Ready” page. Please share. Please be Prepared for Hurricane Season. Everyone needs to be prepared for the unexpected. Your friends and family may not be together when disaster strikes. The Insurance Information Institute provides a video named Making Your Home More Hurricane Resistant: Five Steps. 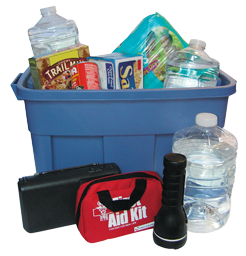 Put together a basic disaster supplies kit (http://www.ready.gov/basic-disaster-supplies-kit) and consider storage locations for different situations. Help community members do the same.